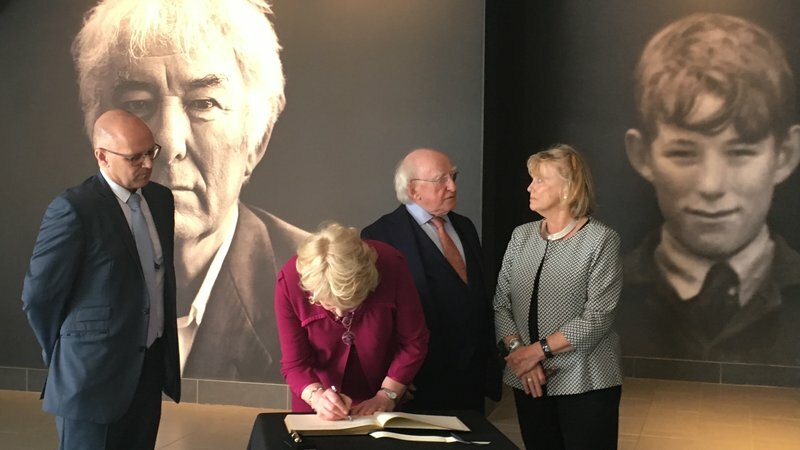 Irish President Michael D Higgins paid his first visit to Seamus Heaney HomePlace this week, and praised the themes of change and remembering captured by our interpretive experience Man & Boy. A friend of Heaney, the Irish Head of State said "It's my first visit here and I'm struck by the sense of place and habitation and the shared culture of creativity. The opportunity to see the world that influenced Seamus Heaney is extraordinary." Seamus Heaney's son Michael expressed the family's delight at the President's visit. RTE's coverage of the visit can be watched here.